Lululemon pants are all the rave in yoga wear and though expensive, they have no shortage of endorsers. Once you invest in a pair, keeping them clean and in top shape takes a few tricks. You'll want to keep these quality pants for years to come, so learn how to take good care of your Lululemon pants with a few tips and tricks. Wash your Lululemon pants alone or with other Lululemon items. Set aside these and other like items based on their stretch material, which you will want to care for differently than the rest of your clothing. Avoid fabric softener. Damage to the fabric can occur from using harsh cleaners and/or laundry add-ins like fabric softener. 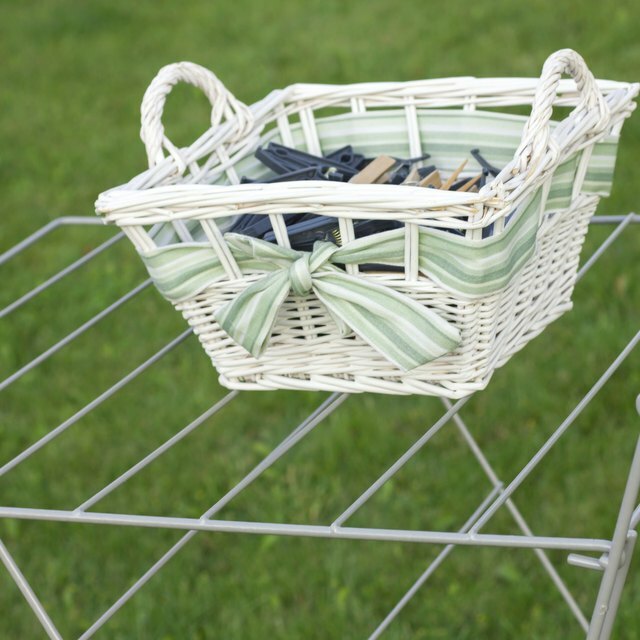 Keep your washing simple by using a mild detergent. Though shrinking is not a large risk, washing your Lululemons on medium or cold temperatures is best for the fabric. Hang or lay your Lululemon pants to dry. Do not machine dry, to avoid pilling and disintigration of the stretch material in the fabric. Stretch fabric, like that of Lululemon pants, is prone to pilling. After drying, examine your pants for pills and remove any pills on your fabric by hand to avoid accumulation and preserve your pants.